A spinal disc can be injured, resulting in pain, numbness, or weakness. Whether it’s called a herniated, ruptured, or “slipped” disc, this condition can be a source of discomfort and disability. Specialists Dr. Charles Arndt and Dr. Debarun Borthakur at Chiropractic Health and Wellness Center in Sterling, Virginia, offer effective nonsurgical treatments to alleviate the symptoms associated with herniated discs. What are the possible causes of a herniated disc? Spinal discs are comprised of a harder outer shell with a jelly-like interior that provides a cushion for the vertebrae. When the outer shell is damaged, the softer material inside can leak out and put pressure on the surrounding nerves. The lower back and the neck are the most common areas to be affected by a herniated disc. While trauma, like excessive lifting or a car accident, can cause a herniated disc, it’s more common for age, genetics, or lifestyle factors to cause the condition. Disc degeneration due to aging and simple wear and tear can be the culprit, because discs lose flexibility as you age, making them vulnerable to tearing. Weight, genetics, and occupation can also impact your risk of developing a herniated disc. What kind of symptoms are associated with a herniated disc? 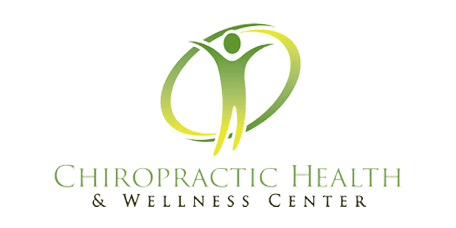 What are the treatment options for herniated discs? When painful or debilitating symptoms occur from a herniated disc, prompt treatment is recommended. Drs. Arndt and Borthakur at Chiropractic Health and Wellness Center use advanced imaging to diagnose herniated discs and offer the care that’s best suited for your needs. These noninvasive approaches can offer long-term relief from symptoms while improving overall health. How is spinal decompression used to treat herniated discs? SpineMED® spinal decompression uses a state-of-the-art computerized machine to effectively treat herniated disks. This new technology is celebrated for its 95% success rate for treating disc bulges and herniation of the neck and low back. Drs. Arndt and Borthakur will also educate you on your condition to help you understand the best options for preventing further injuries to your spinal discs.